Hey everyone! 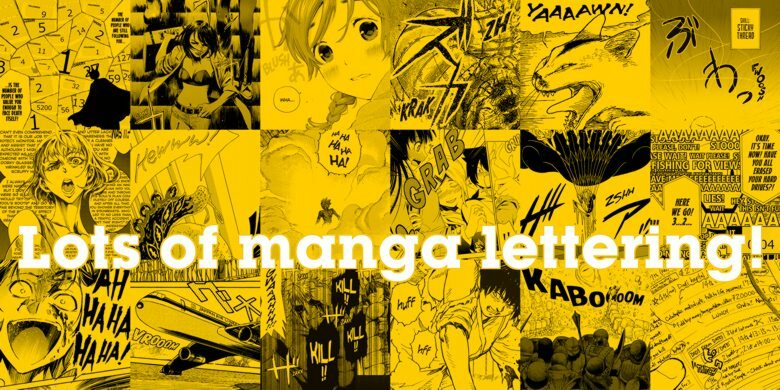 A couple years ago, I added examples of my manga lettering work to the site. Since then, I’ve done a lot more books (I’ve lettered 60 manga volumes to date! ), but never really had the time to show examples of that newer stuff here. Well, I just posted a TON of samples of my lettering work, showcasing a wide range of techniques. You can see the extremely complex and challenging lettering tasks I’ve taken on on Real Account, the large amount of hand-written work I’ve done on Forget Me Not, the all-by-hand lettering I do on Land of the Lustrous, the crazy action-packed sound effects of Ninja Slayer Kills, and other fun stuff! Also, check out the work I’ve done on dream-come-true projects such as Akira (for the upcoming 35th anniversary box set), Die Wergelder, and The Osamu Tezuka Story. I’m still in disbelief that I got to work on Akira. I’ve been a big fanboy for that series since I was 13 years old! Also, feel free to take a look at some of the pages for manga that I’d previously posted here, such as Sankarea and Maria: The Virgin Witch, since I overhauled the pages and added new examples. I think in general, the stuff I chose to share gives a good example of my range as a letterer, and I’m excited to finally have something convenient to show to family and friends who are curious what I do. Oh and btw, I went out of my way to avoid using images that are spoilers, so if you’re a manga fan, don’t worry about having stories ruined for you when looking. While you’re checking out the samples, feel free to follow the links on each page to buy the books from their respective publishers! More manga selling means dinner on my table. PS: I also relettered a volume of Battle Angel Alita: Last Order a couple of years ago (another dream title, seeing as the original Battle Angel Alita is what introduced me to manga in the first place), but since I just handled dialog balloons, I figured there wasn’t too much to show of that. What else is new? Since last I typed here, I had a crazy busy month of work, then a lot of preparation for my wedding, then the big day itself, then showing my parents around Japan for a couple weeks during their first visit here, then a couple weeks of recharging my batteries, then more work. I’m in a brief time of respite at the moment, then back to more work soon. I have another post ready to share with you soon, however, about another neat comic-related thing I worked on. Stay tuned!